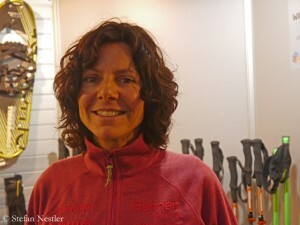 Probably, the anger had been building up over years, this feeling of the Sherpas that they are exploited. I think something must happen on Everest, the situation cannot continue. Both sides need to rethink. Even though I never used the support of Sherpas on my expeditions, I know from talking to them that they appreciate the expeditions, because they benefit from it. I am often asked: The Sherpas earn near to nothing, don’t they? 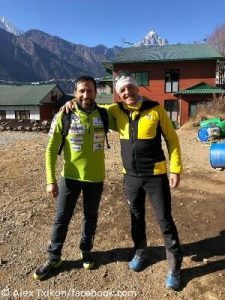 But I learned from reliable sources that they earn comparatively much money and that they are really able to feed their families for one year with their income of an Everest climbing season. On the other hand, I understand that they don’t want to take these increased hazards any more. 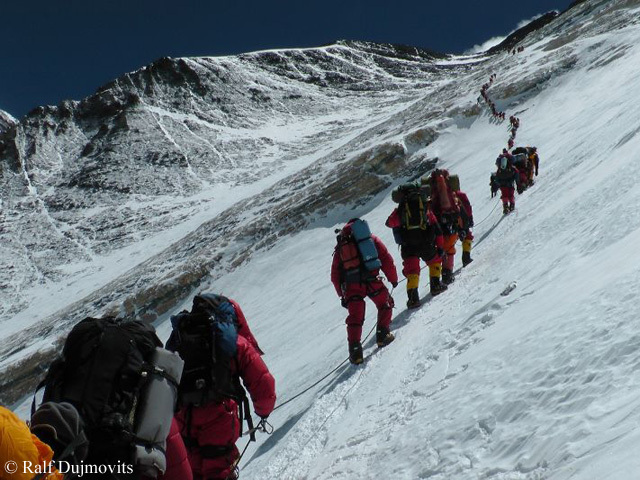 Many climbers on Everest take advantage of the Sherpa support, but don’t talk about the fact that they are using it. In fact, there is a lack of appreciation. It would be nice if those who go to Everest would climb more on their own authority. They should seek more cooperation with the Sherpas, rather than only demanding what has to happen. The transport of material to the high camps, all the oxygen bottles, this has reached a level that I really fail to comprehend. But Everest is a fully commercialized mountain. Isn’t it naive to think that anything will change? 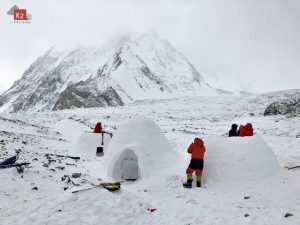 Due to the fact that there is so much infrastructure, Everest will always attract some people who don’t belong there, considering their mountaineering skills. That’s true, for sure. In recent years, there were many people on Everest who actually had no relation to mountaineering but only wanted to realize their dream of climbing the highest mountain in the world – no matter the cost, no matter by what means. This has taken a direction that is absolutely not good. Quite the contrary. Maybe it’s really naive to think that this will change. But hope is the last to die. Actually, everyone knows that we cannot continue in this way and that something has to happen. The only question is, what exactly. Many talk about it, me too. But in the end, no one has any real idea that could seriously make a difference and lead to change. The Sherpas revolt. Some told me that they don’t want to go to Everest anymore, because they have earned enough money. Many of them are now living abroad, many in America. 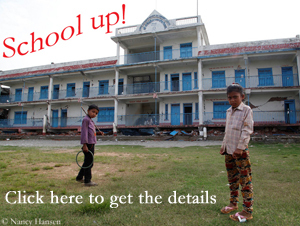 Others continue to climb Everest because they need the money to give their children a good education. It’s really a sensitive and difficult issue. My feeling is that the responsibility is shifted back and forth. The operators accuse the government and vice versa. The Sherpas complain about the operator and the government. But they don’t sit down around a table and agree on a common line. That’s precisely what’s missing, that they all sit around a table, each putting back his ego a bit, committed to find a reasonable solution. And it doesn’t look as if it’s going to happen in the near future. Against this background, are you happy that you checked off the chapter Everest? I don’t want to call it checked off. But I’m definitely happy that, in 2010, I had the good fortune to scale the mountain on a day when only very few people were climbing. It was snowing, it was cloudy, I had no view at the top. But it was quiet on the mountain. I can’t say that I enjoyed the time at the summit, because the climb had been just too strenuous. But I was glad to have made it. 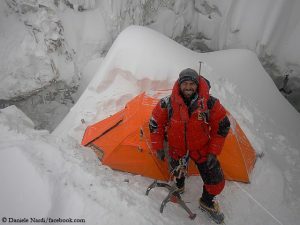 Furthermore, we had pitched our tents in base camp below the North Face. We were alone, it was quiet there – at this really busy mountain. I enjoyed this loneliness and I’m still happy having experienced it this way. 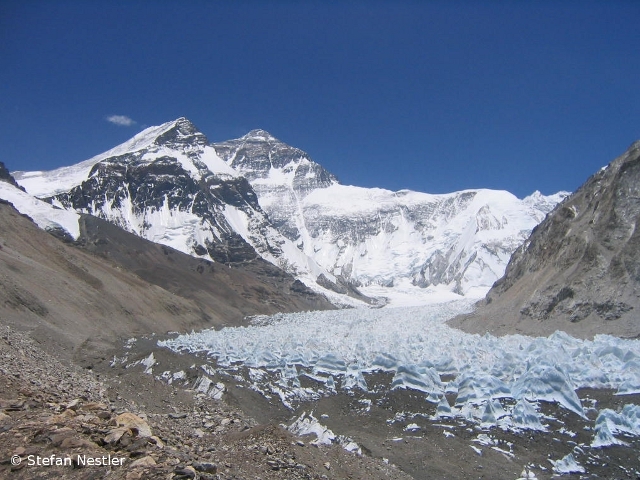 In all the discussions about Everest, too often one point is not mentioned: that there is still the possibility to experience real mountaineering adventures on Everest, e.g. at the North Face or the Kangshung Face. There are still playgrounds, aren’t they? Of course, for real mountaineers there is still plenty to do on Everest. I don’t know whether someone will go to the North Face this year. There you can find pure loneliness. In the base camp, you are only joined by snow grouses. Otherwise, it is extremely quiet, and you have the view of the North Face. You won’t meet anyone at the Kangshung Face too. Only the normal routes, where ropes are fixed up to top, are crowded. I don’t want to call all these people mountaineers. Of course, there are these and those kinds of people. But there are many people on Everest that really don’t belong there.